With the price of cosmetic and aesthetic surgeries increasing in the UK, a majority of Britons prefer to travel abroad for these types of surgeries. Hair transplant is among the top cosmetic surgeries that prompt UK residents to fly to other parts of Europe in an attempt to save money or get access to services they otherwise wouldn’t be able to afford in the UK. Is the hair transplant clinic a reputable one? The prices may be alluring, but does the clinic meet the necessary healthcare standards? Is it registered with any healthcare authority? How does the clinic handle emergencies? Is the clinic well-staffed to handle any complications that may arise during surgery? Is the clinic equipped with modern equipment? What type of guarantees does the clinic offer? Make sure to do your research about the clinic by reading reviews on the internet or contacting the clinic directly. What are the hair transplant surgeon’s credentials? After vetting the clinic itself, it’s also a good idea to vet the surgeon performing the hair transplant. Is he a hair transplant specialist? Is there anywhere you can verify the experience and qualifications of the hair surgeon? Will he be in charge of the entire procedure? Is there an initial consultation and treatment plan? Normally, there needs to be a consultation and a detailed treatment plan before the actual surgery. Some clinics have consultation offices in the UK, thus, patients don’t have to travel all the way to the clinic where the surgery will be performed just to get a consultation. Other clinics offer consultations based on patient submitted pictures or through Skype. Some clinics have a strict on-site consultation policy arguing that a good treatment plan requires an in-depth consultation. 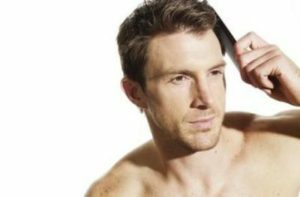 Certain clinics will offer the consultation for free, and if patients decide to have their hair transplant surgery done at the clinic, the cost of the travel will be reimbursed. How long is the transplant procedure, healing period and aftercare? A further important aspect to consider is how much time will the procedure take. This is important because you’ll need accommodation during your stay abroad, and you’ll need to know in advance if you can get time off from work during that period. Reputable hair clinics will have hair transplant packages that also include the price of your accommodation at a partner hotel. The healing period and the frequency of the follow up checks are also aspects that you should clarify with the clinic. Clinics that are affiliated with clinics in the UK or that have UK subsidiaries will offer aftercare treatments at their UK clinics, whereas at other clinics, patients will be required to travel back to the clinic for follow up checks. What are the exact costs of the hair surgery and are there any additional costs? Be warned that some clinics may not be transparent enough about their pricing system. This is why you should always ask how the prices are determined (per hair/per graft), and what other costs you have to expect. Don’t sign contracts that are not in your language and make sure you read the contract thoroughly, including the fine print. More detailed questions on The British Association of Hair Restoration Surgery page – visit BHARS website to get informed!